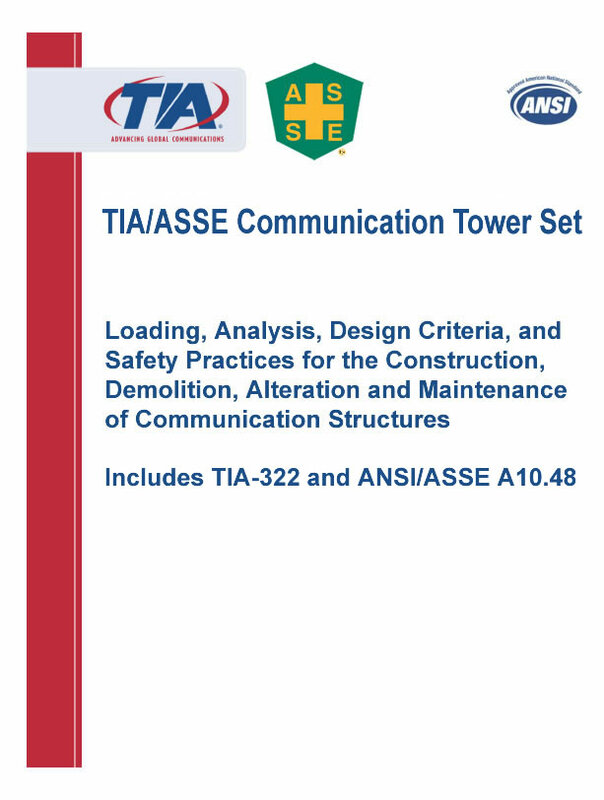 This Set includes TIA-322 and ASSE A10.48. The scope of this Set is to provide construction considerations and loading requirements for structures under construction related to antenna supporting structures and antennas. The Standard addresses the requirements for specialized equipment such as: gin poles, hoists and required temporary supports. This Standard provides criteria based upon both Load and Resistance Factor Design (LRFD) and Allowable Stress Design (ASD) methods. Figures and drawings in this Standard are for illustration purposes only and are not intended to represent all potential aspects of a particular lift or rigging situation. It is the responsibility of the user to determine an appropriate rigging plan in accordance with this Standard for construction activities accounting for all loads, forces and reactions.